When it comes to your restful night sleep, don’t put your fate in the hands of people with no outdoor experience. GrabAGun is your premiere source for the sleeping bags and camp bedding so your next night sleeping in a tent or camper is as comfortable as possible. You’ll rest easy knowing your sound sleep is in the expert hands of the manufacturers available here on our site. GrabAGun has you covered—literally—when it comes to sleeping bags, and covered warmly. Our vast line of sleeping bags offers a wide variety of temperature ratings, shapes, sizes, brands, and of course, colors and designs. 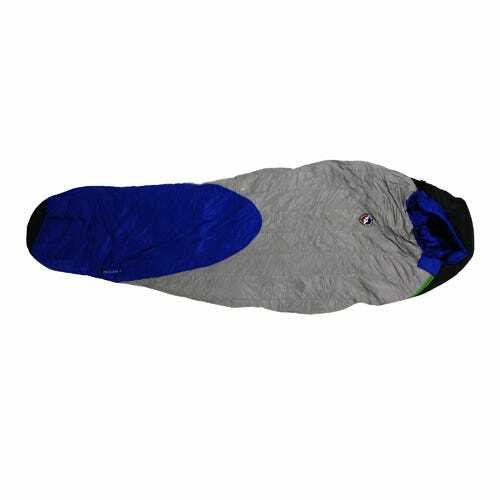 Mummy sleeping bags, rectangular sleeping bags, and even double sleeping bags can all be found in our immense selection. With a sleeping bag from GrabAGun, you’ll be dreaming big on the next hunting trip or camping expedition you take. Nothing can ruin a camping trip faster than a poor night’s sleep and no rest. With our selection of cots, pads, and air mattresses, a peaceful night of sleep will be the least of your worries. Whether you’re looking for air mattresses or other items that are ideal for individuals or models made for more than one, GrabAGun has the sleeping equipment to fulfill your sleeping arrangements. If air beds don’t allow you to sleep or the elements down allow for an air mattress, one of our many cots can be a suitable substitute for your bed. Having the restful night sleep when you are away from home is crucial to making your hunting or camping trip successful. Let GrabAGun be your source for your next sleeping bag or camping bedding needs; our vast online catalog will finally help you lay to rest all of the problems you’ve had finding a peaceful night’s sleep while you are away from home.